The housing market in Wales is slowing with sales down 5% and while prices are up 1% annually, they fell by 4.3% in the second quarter of 2018, the latest index shows. The average house price is now £176,456 and price growth is set to be modest throughout 2018, according to the Principality house price index. The highest increase in prices over the last 12 months are all located in the South East corner of Wales, with prices in Torfaen up 7.9%, in Monmouthshire up 6.5% and in Newport up 5.8%. These average prices, the index report suggests, are driven by higher demand in this region, probably due to the expanding commuter belt between Cardiff and Bristol. Affordability is seen as one of the key reasons why people are willing to travel across the Severn every day, enhanced by the impending abolition of the bridge tolls. The average price of a home in Newport is currently £190,000, compared to an average house price of £300,000 in Bristol. The index report explains that the introduction of the Land Transaction Tax (LTT) in April has had an impact with more purchases of expensive properties in the first quarter of 2018 and sales falling off in the second quarter. Total house sales are estimated to be down by 5% in the first half of the year compared with the same period in 2017. 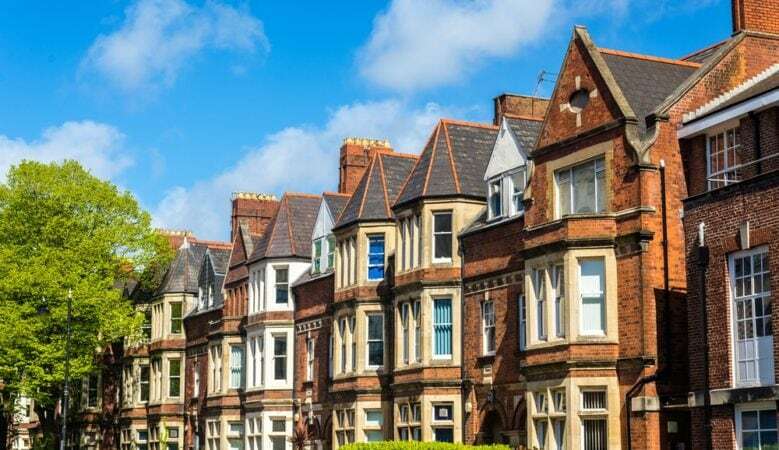 Similarly, those purchasing lower valued homes may well have delayed their purchase until April or later as the exemption threshold had increased from £125,000 to £180,000 after that date. Meanwhile, there was a 54% decrease in sales of properties priced £400,000 and more in April 2018 compared to April 2017, whereas for Wales overall the decrease was 1% for the same period. Sales have fallen over all property types, with the exception of terraced properties. The biggest fall in sales was flats with a decline of 18%, with detached property sales down 9% and semi-detached down by 2%. ‘The subdued housing market growth is consistent with the picture across the rest of the UK. Whilst house prices have grown modestly, the data suggests that there was an increase in higher value sales prior to the introduction of the new stamp duty in Wales, which may have driven up prices in the first quarter. This has resulted in a more marked fall in average prices quarter on quarter,’ said Tom Denman, chief financial officer at Principality Building Society. He explained that the buy to let market also remains subdued, which is perhaps reflected by the decline of flat sales. ‘Lending to first time buyers is relatively good with opportunities to take advantage of low interest rates and government Help to Buy schemes. Next time buyers are showing more caution and this is likely a result of uncertainty around rising interest rates, Brexit and the subdued nature of the wider economy. We envisage this very modest growth to continue throughout 2018,’ he added.